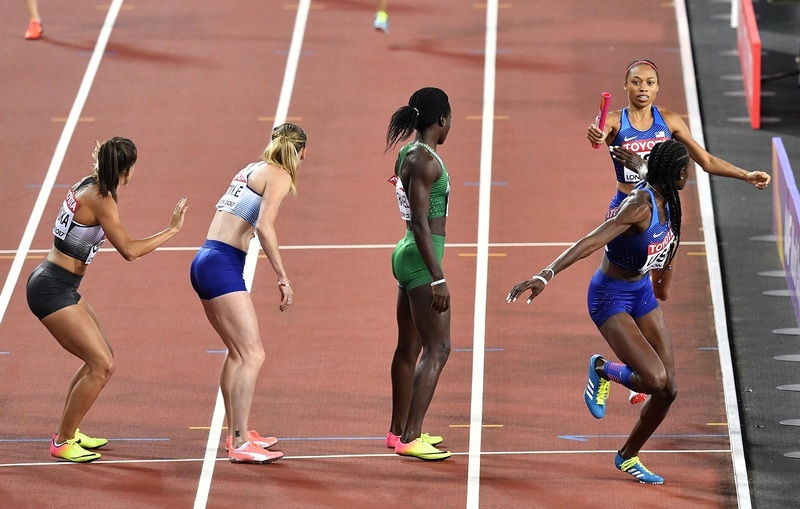 United States' Allyson Felix, top right, hands the baton to teammate Shakima Wimbley during the Women's 4x400 meters relay final at the World Athletics Championships in London Sunday, Aug. 13, 2017. Jamaica suffered a disappointing end to the IAAF 2017 World Championships in London, as the women's 4x400-metre team failed to finish the final on Sunday when second leg runner Anneisha McLaughlin-Whilby pulled up with an injury, shortly after receiving the baton. It marks the second straight day that Jamaica failed to finish a relay. 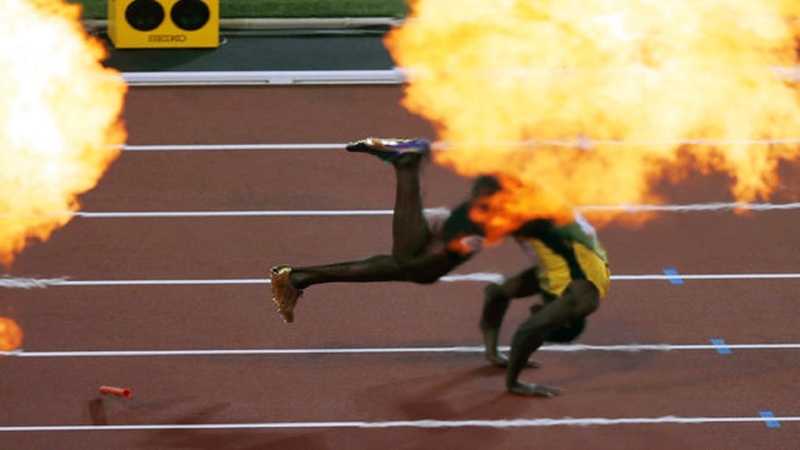 On Saturday, Usain Bolt's illustrious athletics career finished on a painful and shocking note as the iconic sprinter pulled up with an injury as Great Britain claimed a shock gold in the men's 4x100m relay. Allyson Felix and Phyllis Francis won their second gold medals at the championships by helping the United States won the gold medal. The favored Americans, with 400 champion Francis running the anchor, won in 3 minutes, 19.02 seconds. They finished about 50 metres ahead of silver medalist Britain. Poland took bronze. Felix also won gold in the 4x100 relay on Saturday. The latest medal was the 16th of her career at the world championships, going back to 2005. The relay gold also pushed the United States' overall total in London to 29 medals, another American record at the world championships. Jamaica finished in joint 16th place with the Netherlands on the medal table with four medals, comprising one gold and three bronze. Omar McLeod won the only gold medal for Jamaica in men's 110-metre hurdles on Monday. The bronze medals came from Usain Bolt (100 metres) on August 5, Ristananna Tracey (400-metre hurdles) on August 10 and the women's 4x100-metre relay team on August 12.